Can a business centre replace a virtual assistant? With your social media activities and administrative tasks, it’s hard to focus on the most important aspect of your business – serving your customers. So how can you devote your energy to that service without dropping the ball on your other chores? By hiring virtual assistants to take on those tasks that keep you away from your core responsibilities. As we mentioned in a previous blog “Virtual Office or Virtual Assistant?” the terms virtual office and a virtual assistant are sometimes used interchangeably, but there are differences. The term virtual assistant (VA for short), refers to a person who is generally self-employed and provides professional administrative, technical, or creative assistance to clients remotely. The term virtual assistant can also refer to software that helps you keep organized and automates tasks for your business. But for this blog, we will be talking about the human VA.
Our topic today is can a business centre replace a virtual assistant? The answer can be yes and no, depending on the amount of dedicated time you require of a virtual assistant to work on your tasks, and how specialized the tasks are. 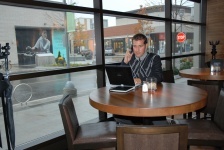 A business centre is not just a rental office space in a shared environment at a desirable professional address. Business centres can be a total business solution for your small business. Before you hire a virtual assistant, you need to explore the add-on services that a business centre can offer you (while the person doing the work is just down the hall and not in some remote location). Lifestyle management – personal duties including buying gifts, dry cleaning, booking restaurants and events, moving, researching cheaper utility companies, paying bills, etc. Event coordination – venue finding, confirmation of attendees, document management, on-site support, etc. As a business centre client, the business services that you offer can be added to this list. Educate the staff about what you do, so when someone asks about those services, you can be referred to immediately. After reading this blog, how confident are you that a business centre can replace a virtual assistant and offer you on-demand services compared to what a VA offers?